Josin McQuein's PREMEDITATED, about the lengths one girl will go in order to get revenge on the boy who ruined her cousin's life, to Krista Vitola at Delacorte, at auction, for publication in Fall 2013, by Suzie Townsend at Nancy Coffey Literary & Media Representation. And here's the blog post by Josin. QS - A question: Sometimes I see errors in punctuation or grammar, or awkward sentences that could easily be remedied. Are these issues you expect the author to figure out on their own, would you expect them to have someone proof it before sending it in, or would you overlook errors if the query was otherwise compelling? The answer is yes and no. How's that for clarity! 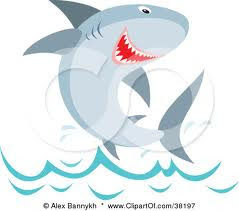 When I chomp on queries here, I can't point out every single mistake on the first bite or it would be overwhelming for both the writer and the Shark. That said, it's always a good idea to have a proofreader. If we're talking actual queries I don't overlook those mistakes AT ALL. They are HUGE red flags for the project being queried. If you make mistakes in your query you'll make mistakes in your novel. I can't submit an error-ridden novel to an editor. Well, I could but I flat out refuse to do so. My clients understand this and turn in manuscripts that may need revision and editing but generally have all the spelling and grammar correct. For entries to QueryShark, you really REALLY want to have it as perfect as possible. I don't want to waste your time (or mine) telling you the difference between rain and reign.